Every once in few months the itch to travel becomes difficult to resist. 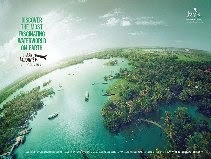 This time the new destination selected was none other than ‘God’s Own Country- Kerala’. I was reminded of the times spent in this haven when I had just started my career. It was a two night journey by train to Cochin Harbor Terminus from Delhi in those days. The memories of sight of the Cochin harbor with twinkling lights of the harbor are unlikely to fade. This time the journey by flight was much shorter and the welcome appearance of the lush green coconut groves, the blue lagoons and backwaters looked spectacular as the aircraft landed on the sun kissed tarmac to a comfortable warm 29deg C compared to cold 11deg in Delhi! The drive through the congested streets of Ernakulam where a new metro line is under construction took almost 1.5 hours. I tried to recollect the familiar sights of hotel Woodland and a few more which still existed on the MG Road. Next two days were spent in zipping across to Fort Kochi on ferry to see the Chinese Fishing nets, the Old Portuguese and Dutch churches, cemeteries, the Jewish synagogue and a Spice market. A New Naval Museum has also come up in the last few years which were very interesting and the best part was to get a warm reception from the ones managing it when they learnt of my naval background. A live performance of Kathakali at the Cochin Cultural Centre including one hour of makeup done by performing artists is a ‘must see’. Next on the itinerary was Munnar, the lovely hill station in Kerala which has a salubrious weather and had hordes of tourists at this time of the year. The best way to see this lovely place is to head out of town to Madupetty Dam and Top Point in one direction and towards Erviakulam National park in the other! The serpentine queues at Periyar Wild life sanctuary and Erviakulam National Park was unnerving. The loud mouth tourists ahead of us with buxom ladies and matching potbellied gents kept us amused till our turn came for the tickets at Erviakulam. The sight of tea gardens and lakes, waterfalls and exotic flowers is almost uninterrupted and one can close his eyes and click in any direction to find a ‘picture perfect’ result! Those with young children must visit the Tata Tea Museum at Munnar that tells the story of tea and a treat of ‘hot cup of tea’ waits on the exit. After two days of foray in the hills we continued our journey to Thekkady and Kumli the twin towns separated by a distance of just 4 km. The place is known for Periyar Wild life Reserve, The Spice Gardens, Spice Market, performance of Indian martial arts ’Kalaripayattu’ and Kathakali, elephant rides through jungles, the Ayurvedic massages ! This is one place where one can grossly indulge in things of which dreams are made of. The people are very polite and hospitable, law abiding and helpful. Evey other house has a Spice Garden in the backyard where coffee plantations, cardamom, cinnamon, vanilla and many more play hide and seek with tourists! How time flew in this haven, we just did not realize. The next destination was Alleppey, but by a freak stroke of good luck we landed in Kottayam to be informed that we can traverse to Alleppey by boat through the backwaters. What more could we have asked for. Next 3 hours through the backwaters was an experience one must have in a life time. One can see the nature in its full glow and there is a galore of surprises in waiting! Exotic birds, wildlife and quaint houseboats, small houses, churches and smiling locals greet at every bend on the waterways. It is not uncommon to sight Grebes, a small bird that can swim, dive and fly in hordes in the backwaters besides, petrels, pelicans and tropic birds. After checking in the hotel, we headed to the beach which is pristine white with huge waves bouncing against the coast. Since, the clouds appeared in horizon , we missed seeing the sunset. Next morning we explored the back waters yet again right till Krishnapuram for four hours. A truly rewarding experience! By evening we were on the last leg of our hectic trip as we landed in Trivandrum late in the evening! A crispy dosa for the dinner lulled us to sleep. Early morning we woke up to the sounds of conch shells and music coming from Padmanabhasamy temple located barely 1.5 km away. An appointment with god, on the penultimate day was very satisfying. The huge statue of reclining Lord Vishnu in sanctum sanctorum attracts thousands of visitors every year to this one of the richest temple. Later we headed for the “Kovalam’ beach which is about 16 km away from the city. It was a sunny day and the beach was thronged with crowds. Having seen this place, our final destination was to see the Chitra Art Gallery that houses the paintings of Raja Ravi Verma an artist par excellence. The creations have a ‘3D effect’ and appears will talk any moment. Next morning our return journey commenced to Kochi by train. We visited Fort Kochi by ferry one more last time before bidding goodbye to Kerala carrying loads of memories of the holiday. Beautiful images dear Rahul, it all sounds so lovely, especially those spice gardens. 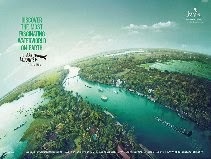 Kerala sounds heavenly - and it looks so lush and green. Thanks a lot Ramya and it is always great to see your comment coming straight from the heart:) So any plans of going there? Seems like you had a great trip Rahul, Kerala never ever disappoints anyone. I have great memories of thekkady. I would love to paint your munnar tea gardens, it looks spectacular ! Spectacular holiday in Gods Own Country ! Indeed it was Rama! I am sure you too had a swell time! It appears that half of North Indian tourists were headed to Kerala this time Mr Chowla from the hordes of tourists we saw there. I am sure you too would have had a great time! I agree Anu that memories of Kerala are really special and are unlikely to fade with time. Thanks a lot for reading! Hi Rahul, I am not going to envy you this time as I have already visited these places. Kerala is really God's own country, with its amazing greenery and backwaters. Ha Ha... at least the New Year starts on a good note with no envy!! I am sure you too would have felt much the same way, as we did , Rachna while visiting the exotic destination. Kerala is one of my favourite destinations - the food, the beautiful landscape, their lovely saris - I love everything about it. We happen to have similar likes when it comes to travel, Purba:) Thanks for mentioning about the saris which I somehow forgot to mention in this post! Wow. Sounds great. Thanks for posting the images. Sounds like you had fun. 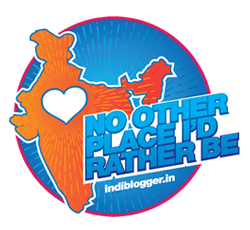 So much to see and so much to do---Kerala is beckoning! MY LAND!!!!!!!!!!!!!!!!!!! Kerala is one true beauty!!!! You made my day, Red by following my blog! A honor to have someone who writes so well to follow:) Indeed you hail from a truly beautiful place with which my bond started many years ago!! Another beautiful trip if yours! Those birds are amazing! Kathakali performance looks like very funny. Tea field is very large and beautiful green. I like Indian tea very much. Thank you for sharing very interesting trip. Sarah, it is a classical dance and a treat to watch! Thanks a lot for those kind words ! Kerala is the perfect holiday destination, especially i love Kerala during the rains. We have been to almost all the beautiful places here, but still, there are a few left to be explored. Pictures are beautiful. Thanks Rama! Indeed the beauty of Kerala is difficult to capture! Hope you get to see the other places too! Great report on Kerala. I like those Kathakkali performances. Happy you liked to read about the trip! Kathakali is a treat to watch! I loved every place in Kerala and still find it show cases what best India has to offer! 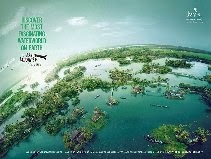 Do visit Alleppey, you won't be disappointed! Good narrative of the tour, Rahulji! Everybody loves Kerala! We too had been to Munnar and a couple of other places over there and will never forget how happy we were there. Now, after reading your post, I feel like going there again! Kerala is so beautiful that going there once is not enough:) I would love to go there again too! That was excellent. I love Kerala though I have to yet go to the backwaters. Thanks a lot Rachna! You must see the backwaters in Kerala! It is an experience, out of the world! It must feel great to visit a place where you worked after so much time. It is really surprising that the Kathakali dancers take upwards of an hour for makeup. I myself visited Andaman and Nicobar Islands with my parents and brother in the second week of January, and I must say, the upper 20s temperature was a big relief as compared to the single digit temperatures of Mohali. Can't be overemphasized. I am yet to see Andamans , KK! I wish I can be there sometine. Every travel experience is unique and enriches our life like nothing else! Thanks a lot for liking Ashok! Wow. You seemed to have covered all the best aspects of Kerala. Having stayed there for 4 years I immensely enjoyed the place and the nearby short-trip vacations. Speaking of Munnar and Thekkady, I got to see so many wild animals during the boat ride in Thekkady which I vividly remember. A ride in the backwaters is a must and a very nice way of enjoying the waters. I got to see so many dolphins during the boat rides.